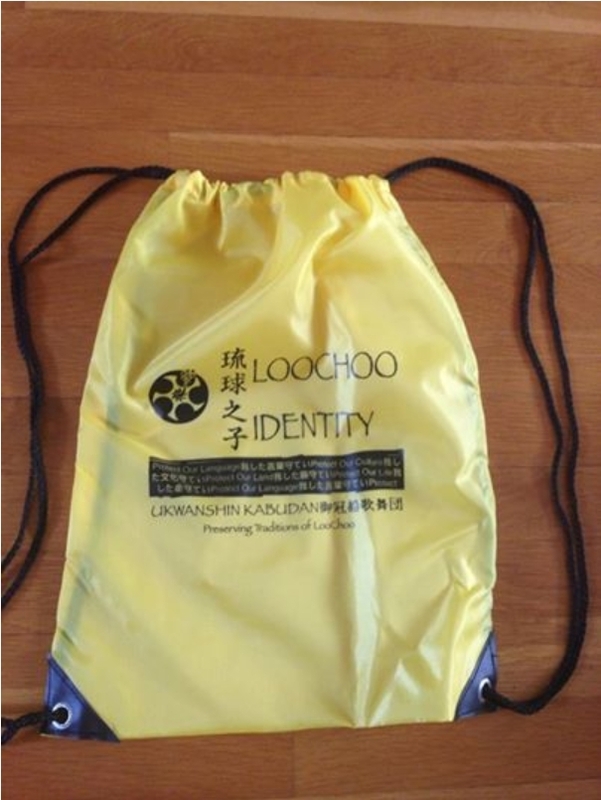 Source: “‘LooChoo Identity’ Sports Bag Available.” Ukwanshin Kabudan, 5/22/14. “The kanji characters going down reads ‘LooChoo nu Kwa’ (child/descendant of Ryukyu). In the highlighted area we have the words in English and Okinawan, ‘Protect Our Language, Protect Our Culture, Protect Our Land, Protect Our Life.’ …The bags are for a $7 donation or more each, and have free shipping within the US.” Click here for more information about the bag and ordering instructions. This entry was posted in Announcement, Culture, Fashion, International. Bookmark the permalink.